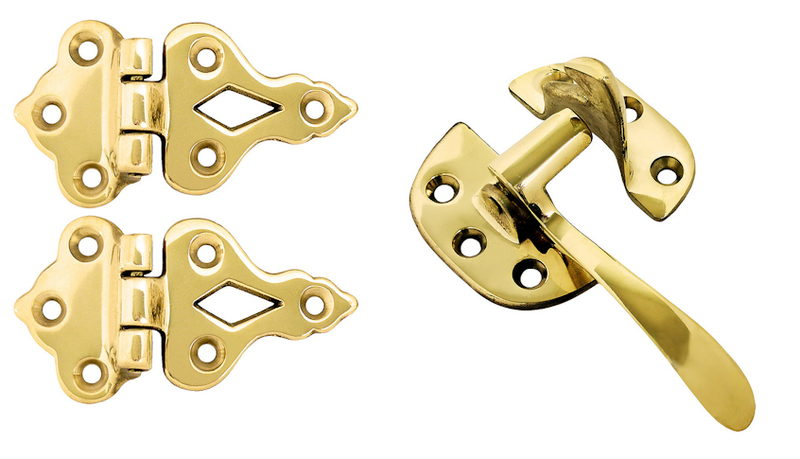 Solid Brass Hoosier or Ice Box Hardware 4-Piece Set - polished brass finish. The latch has a 3/8 inch offset. This set consists of one left hand latch and a strike with two hinges. If your ice box or Hoosier door is hinged on the left and can be opened with the left hand - you may require a left handed set. The set comes complete with the mounting hardware.